To most, Easter basket tags may seem totally unnecessary. But for moms of multiples, they can be kind of cute and needed! I get my boys the same type of stuff in their basket to minimize fighting, but I still want them to have their own individual basket. 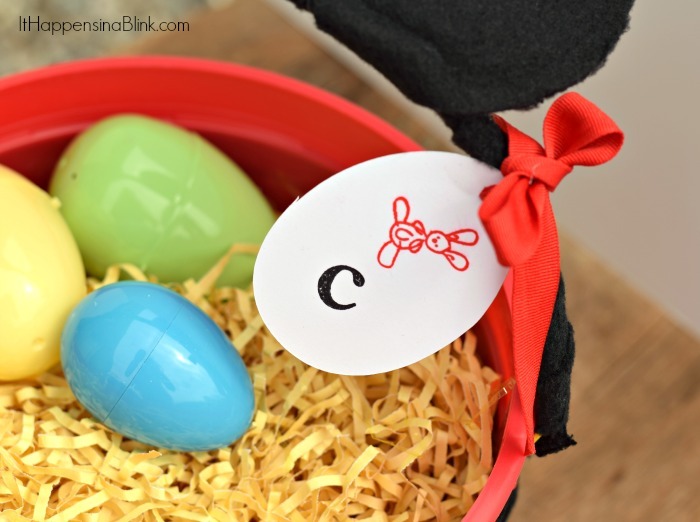 These Stamped Easter Basket Tags are easy ways for me to keep their baskets apart. 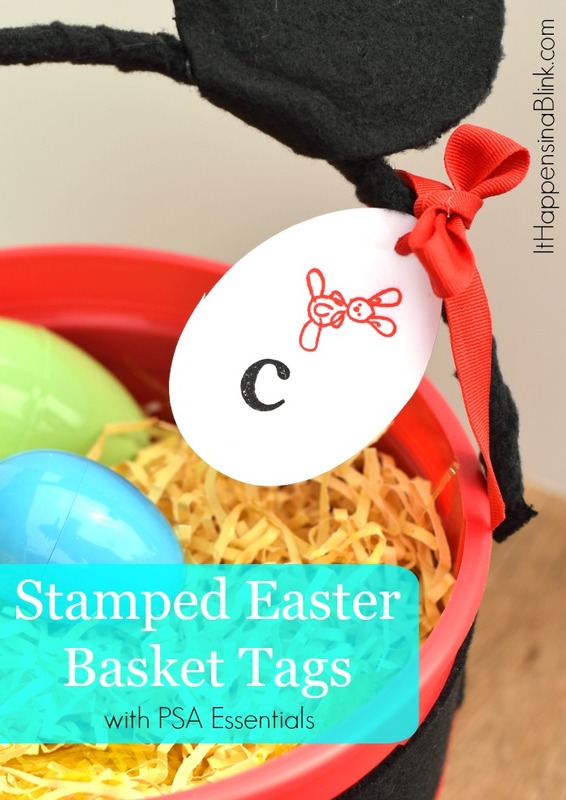 If you work or volunteer in a setting where you’re making several similar baskets, such as making baskets for children’s church or other children’s events, then these tags may come in handy for that, too! Or if you make baskets for different age groups for a corporate family party, switch out the letter stamp for number stamps to mark the age range of the basket. 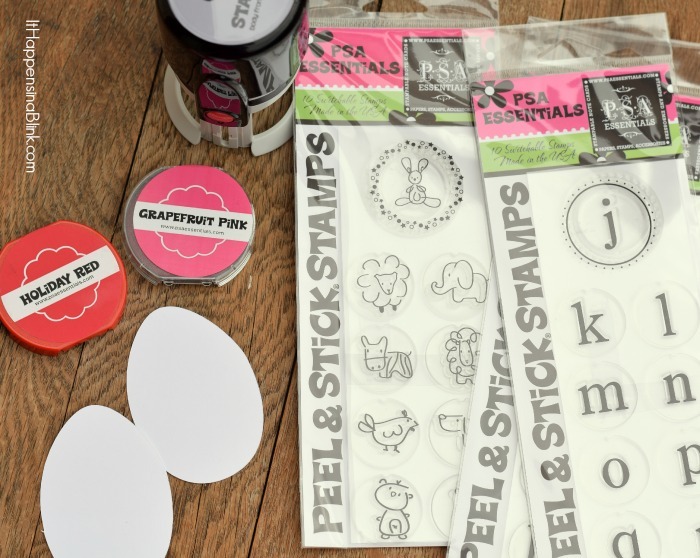 As a PSA Essentials Design Team member, I’m happy to be using PSA Stamp Essentials products for today’s project. A special thanks to them for providing the PSA Essentials items. 3″ Easter egg shapes. 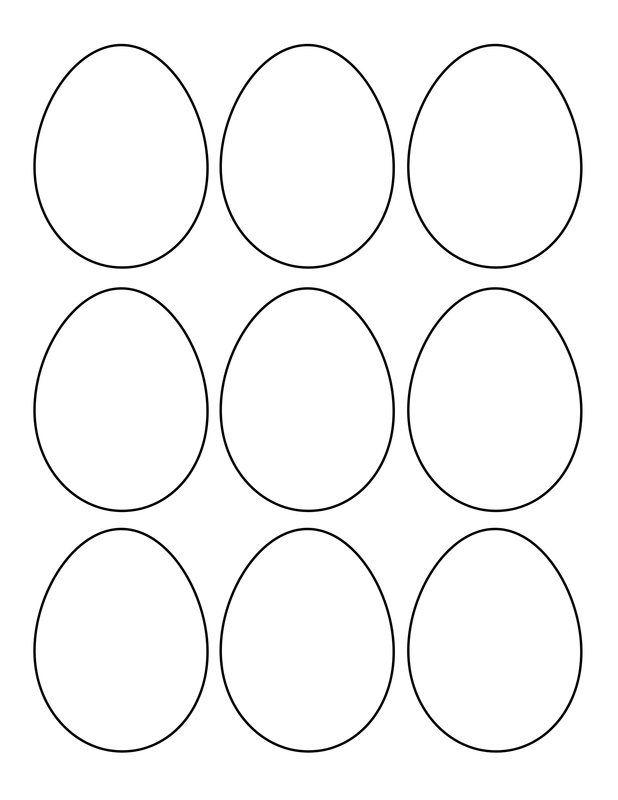 I ran across this handy printable Easter Egg template that works well for this project. Print it off on card stock and then cut out the amount of shapes that you need for the number of baskets that you are creating. If you have a Cricut or Silhouette machine, then you can always use that to cut egg shapes, as well. I used my Cricut to cut the ones used in this demonstration. Print off the Easter egg template. Cut out as many shapes from card stock as you have Easter baskets. 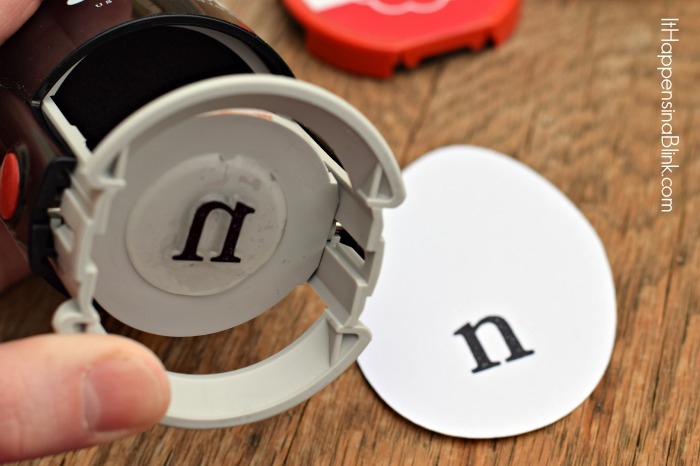 Stamp the first letter of your child’s name near the bottom of the egg shape. Change out the stamp colors and the stamp. I’m using a cute little bunny! 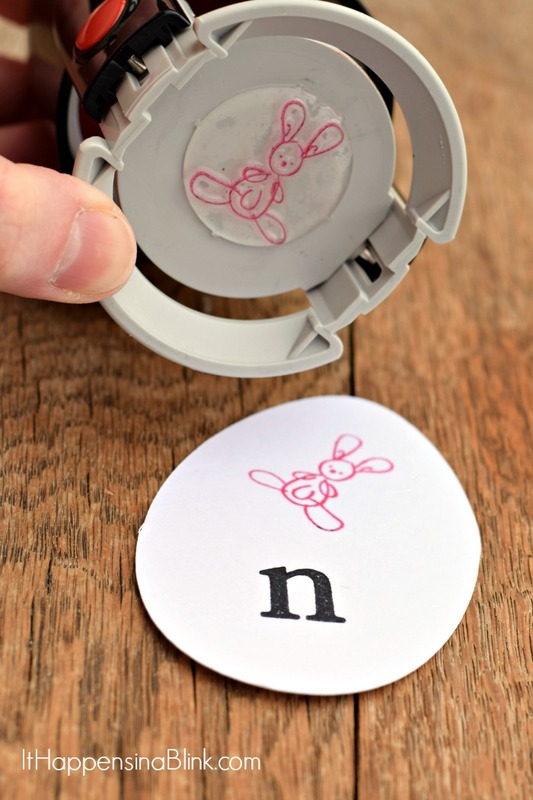 Use the hole punch to make a hole in the tag and tie to the basket with a ribbon. These are adorable! My nieces would love something like this. I’ll have to plan a fun Easter day with them and try these out.